The travel and tourism industry is one of the largest industries in the United States, contributing a total of $1.47 trillion to the economy in 2014. Americans themselves love to stay in hotels, whether for business or leisure, which may account for the fact that 7 of the world’s ten-largest hotel chains are located in the U.S. Hotels are perceived to be ‘oases’ of comfort, good service and fashionable or popular restaurants and bars across the country. Even motels, usually judged to be on the ‘lower end’ of the hotel accommodation industry, have become increasingly luxurious and customer service-oriented in many places. Hotels, by the very nature of their business, have often been adept to the security and safety needs of their guests and visitors – more so than many other sectors in the service industry. However, crimes do persist in hotels, usually in the form of pilfering and burglaries from the rooms of guests, or items stolen from hotel bars and restaurants. Too often these are in-house crimes committed by hotel employees or contractors. Thankfully, to date no American hotel has been targeted by the type of bloody violence and attacks that hotels in other countries have suffered, from New Delhi, India to Mali and Tunisia. Unfortunately, these types of attacks must still be considered by hotels in this country, especially those that are larger or high profile. Such is the reality today. surveillance / CCTV / motion sensor and other allied capabilities and needs in the hotel, including the lobby, general walkways and corridors, elevators for guests and goods, restaurants, bars, shops and other similar spaces that may be located within the hotel, pools and cabanas, etc. preparedness for a more hostile incident, e.g. major heist or invasion of the hotel, hostage situation, etc. In this day and age, hotels cannot afford to be complacent about security issues. Security management must include both issues internal to the hotel (i.e. breaches by guests or employees in a room or other part of the hotel) and the overall security preparedness of the hotel. OSP’s commitment to any hotel is that we will provide our esteemed clients with security solutions that are customer-oriented and customized to suit the hotel. 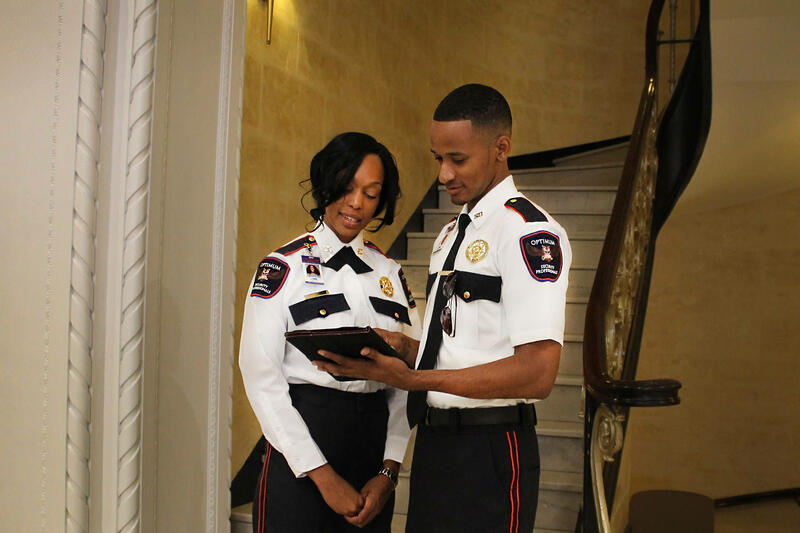 The safety and security of a hotel in its entirety, including its guests and visitors, is our objective. It is what drives the exemplary service that we offer. This approach and philosophy is what OSP stands for. It is what we do – and we do so with pride and conviction.